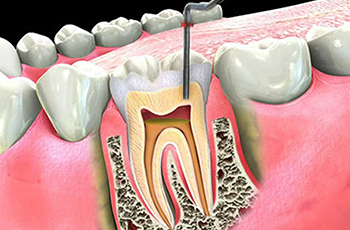 Irreversible pulpitis is the reason why root canal treatment should begin immediately. Fracture or teeth damage cause complications in the pulp. Deep caries also harms. We need to remove nerve from teeth and fill all the canals, to prevent further spread of infection. Patients are scared about root canal treatment because of acute pain. In our Centrum we can cure your pulpitis effective and without any pain. We use modern equipment and materials. The effects of incorrect treatment are really serious – purulent inflammation of bones, root cyst or granulomas. It leads to tooth loss or more serious effects. So don’t think twice and come to visit our specialist.